These past few days, a few publishers reported strong performance of their Nintendo Switch titles, with some of them, like Bandai Namco, admitting being surprised at the console’s quick growth. Among these publishers who are seeing very strong sales on Switch is Ubisoft. In the publisher’s latest financial report, Ubisoft broke down total sales by platform. The PlayStation 4 sales are still the strongest, making up the 31% of the total sales, followed by the Xbox One sales, making up the 20% and the Nintendo Switch ones, making up the 19%. The Nintendo Switch sales are definitely impressive, considering the console has been out for not even a year and that Ubisoft released way more Xbox One titles than Switch ones. Driving sales on Nintendo Switch is Mario + Rabbids Kingdom Battle, followed by Rayman Legends: Definitive Edition. Just Dance 17 also contributed, although is smaller measure. With the console being expected to sell well during the Holiday season, all three titles are expected to perform nicely as well. 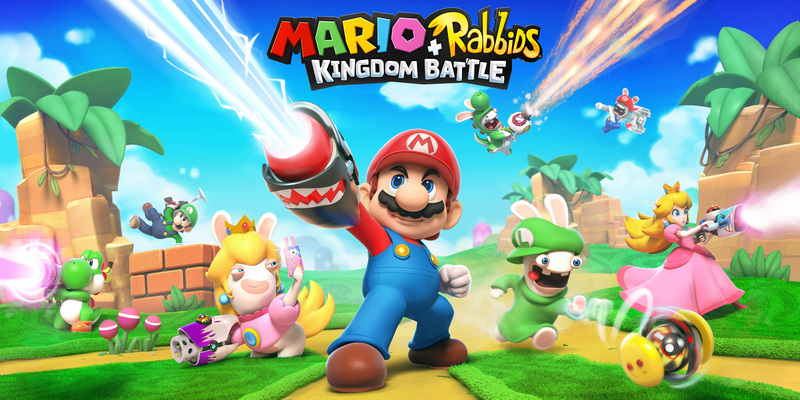 Mario + Rabbids Kingdom Battle nice results on the market are well-deserved, as the game is one of the most interesting Nintendo Switch titles released this year. Mario + Rabbids: Kingdom Battle looks, plays and sounds better than you would’ve ever expected from such a confusing crossover – an interesting take on the X-COM formula that can start to feel tedious, but starts amazingly and will keep many players stuck into the turn-based strategy shooter.